Here we are with part II of my England vacation. Yesterday I posted Part I: Olympics. The excitement of this trip began immediately when we got onto our Air New Zealand (ranks right up there with Virgin Atlantic in case you care). We saw Phil Keoghan, the host of The Amazing Race on our flight. I was very good and didn't bother him. We spent the first week at my brother's new house in Horsmonden, Kent (southeast of London). What a wonderful place they have! It is the old rectory of the local church and was built in three sections: late 1400s with a "remodel" in the mid-1500s (this portion is unlivable at this point), 1700s (Georgian), and 1800s (Victorian). Very relaxing with sheep in the fields, quiet, and a number of day trips. I think my daughter's favorite part of the house was the trampoline. The British pack a beach and let it all hang out! Rye--this is a quaint seaside town built mostly in the Tudor time (1400s to 1500s) then we moved on to the beach at Cambersands. Typical Britain on a sunny day: packed beach with bouncy houses, game rentals and wind breaks. 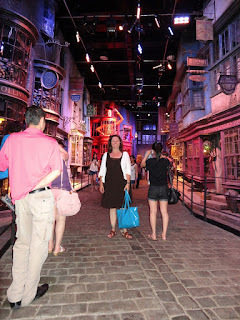 One of my favorite days was the Harry Potter Studio Tour! We drove to Watford (north of London) and had a blast. All the sets are there as well as the schematics and models, wigs, costumes, and props. 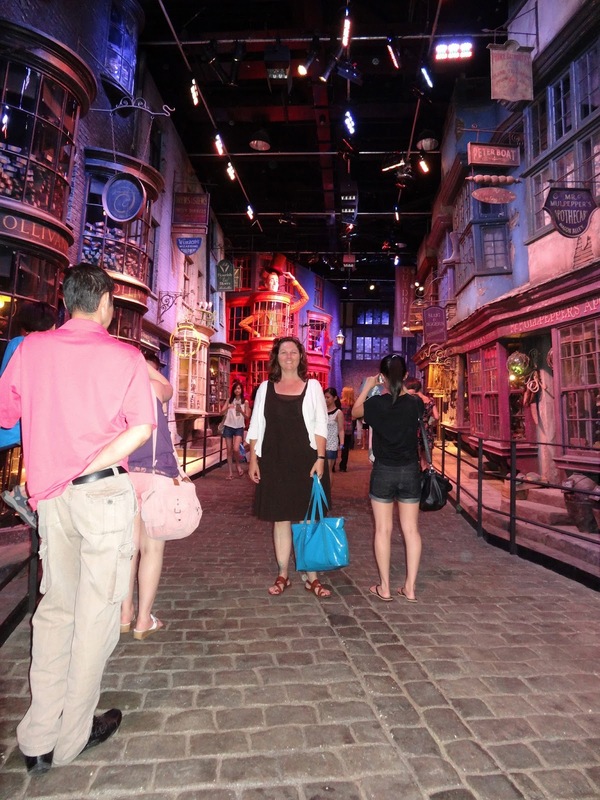 I was like a little kid when we walked into the Great Hall: eyes wide and giddy! The second week of the vacation we spent up in St. Neots (near Cambridge) staying in my aunt and uncle's house. They were out of town, but I saw my cousins and my grandparents (age 93 and 96!). It's tough when Nanna says, "I won't be here the next time you visit." During that week we saw more Olympics, went into London for more dancing, and relaxed. Now, I am really jet lagged, falling asleep at 7:00pm last night!